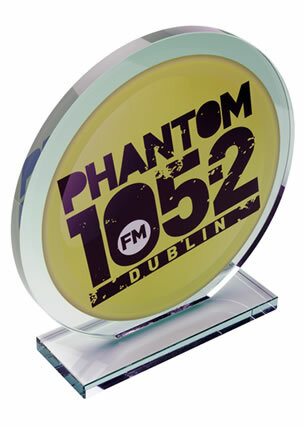 Clear and blue crystal glass plaque award in peak design with bevelled edges. 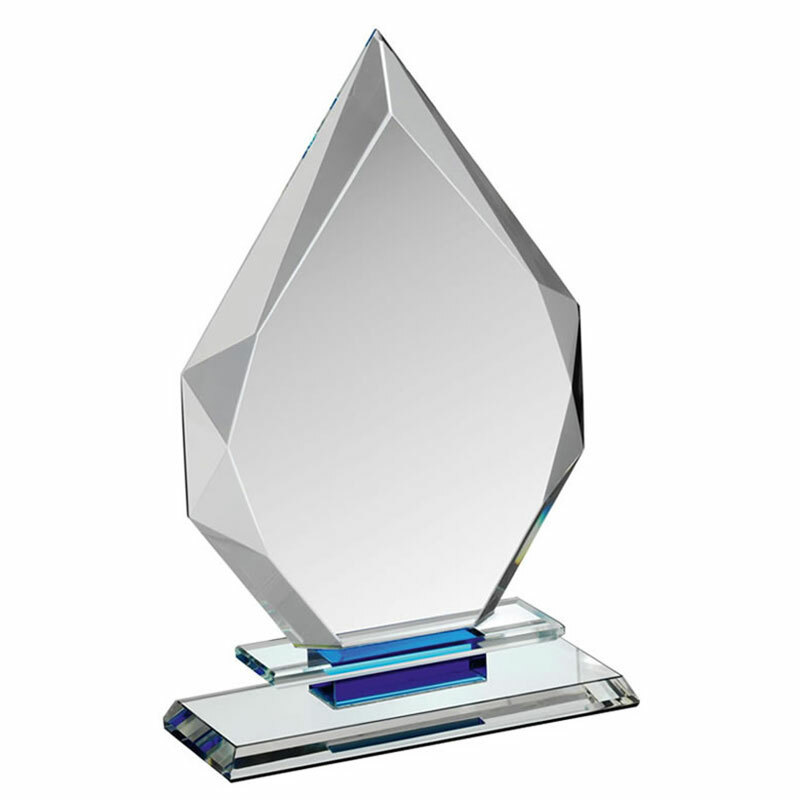 Featuring a stylish blue glass insert in the collar, these versatile and low-cost awards are 9in tall and offered with low, fixed-cost text engraving and free logo engraving. A stylish flat-fronted glass plaque in peak design with distinctive bevelled edges and a blue glass insert in the collar. 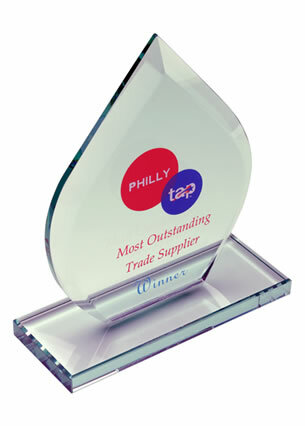 Perfect as corporate awards or achievement awards, these peaked glass plaques offer a large area for engraving. 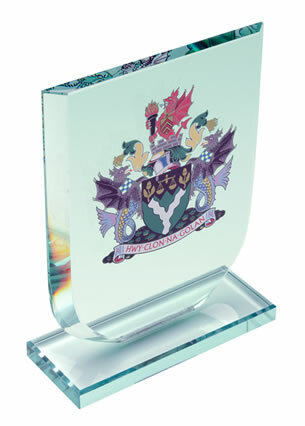 These 9in awards are mounted on a clear glass bevelled base and supplied in a presentation box.